It’s no stretch to say Kyle Harrison was businesslike from the day he was born. OK … maybe the day after. 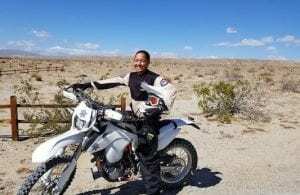 “He was born in San Jose and, pretty much, the next day I remember we got into a Dodge Durango and moved to Orange County for work,” said Kyle’s father, Chris Harrison. There’s a Zen-like frostiness about the 17-year-old De La Salle-Concord southpaw that’s difficult to pin down. It’s not even close to cocky. 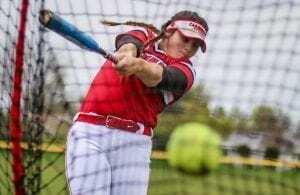 Nor is it necessarily intimidating — unless, of course, you’re standing in the batter’s box when the 6-foot-2-inch junior launches a 90-something inside fastball. Looking at his numbers helps. 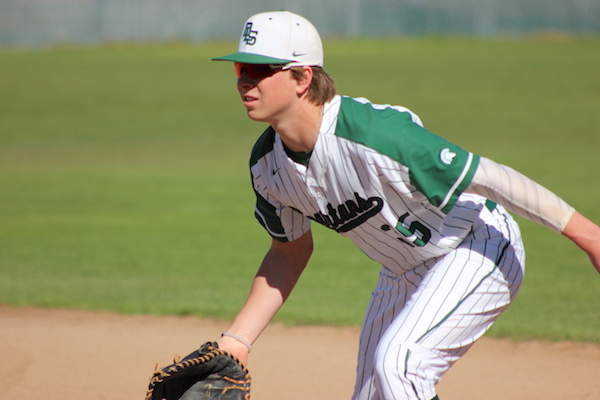 After striking out seven of ten batters he faced at home on a rainy March 28, against Summit High of Bend, Oregon, (one walk and no hits), the Danville resident entered April 4-0 with a 0.39 ERA. He’s also hitting .414 in 29 at-bats as a first baseman. 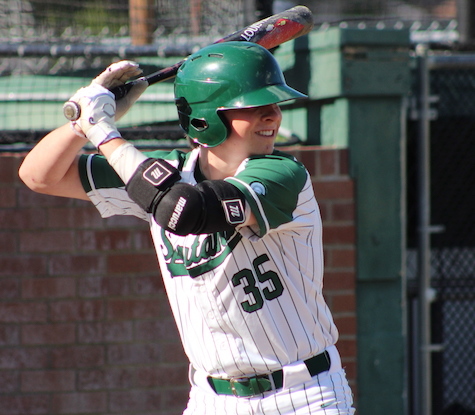 During De La Salle’s 2018 North Coast Section Division I baseball championship season — the school’s fifth Div. 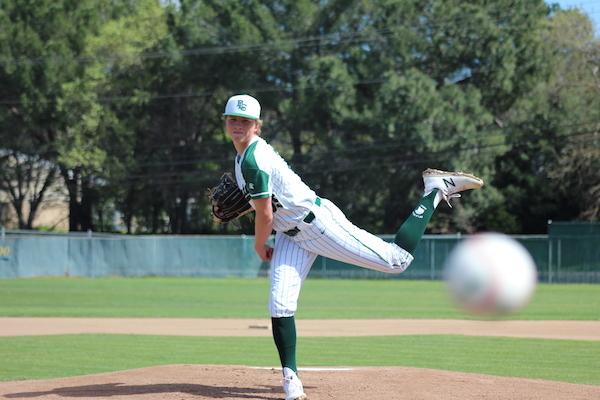 I title since 2012 — Harrison was 9-1 with a 1.17 ERA, earning him EBAL Pitcher of the Year honors. 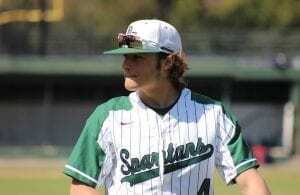 He was also a 2018 MaxPreps National All-American and Cal-Hi Sports All-State Underclass. He struck out 71 batters and walked 23 in 54 innings. 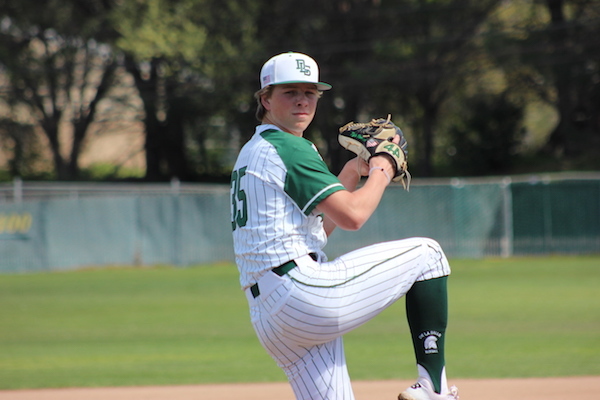 Harrison entered April with a 4-0 record and 0.39 ERA for the 2019 Spartans. Harrison frequently diverts to lauding teammates, coaches and the program. It’s something his coach promises is the real deal. Which might not be true of a regular teen for whom UCLA rolled out the red carpet before he even threw a varsity pitch. Harrison toured California colleges after his freshman year, which he spent dominating junior varsity competition. He committed to UCLA not long after he turned 16. “Some people say it’s pretty early,” Harrison said. “I saw it as a place I could improve my skills. The early commitment takes some pressure off, but there’s an expectation. You’ve got to bust it, because someone’s always going after you. 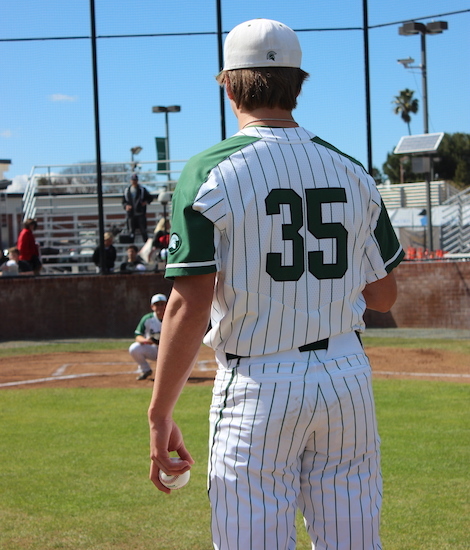 Harrison gets set for action at first base during a March 29 home game against Dublin. His coach said it’s a mistake to judge Harrison at first glance. Harrison seemingly has all the physical necessities for success, with an even better attitude. His dad said he’s always been that way. Chris Harrison remembers his son’s poise as a 7-year-old Little Leaguer. Harrison is just as capable with a bat in his hands. He entered April with a .414 average in 29 at bats. Taking inspiration from Boston Red Sox ace Chris Sale (“I like his attitude; you’ve got to go right at guys”), the younger Harrison credits his arm slot for at least part of his success. Throwing at the same angle and having a four-pitch repertoire (fastball, slider, curve, changeup) keeps hitters off balance. And he’s still developing physically. Harrison lost 15-20 pounds in December from a bout with flu. He’s since worked hard to get his strength back up. 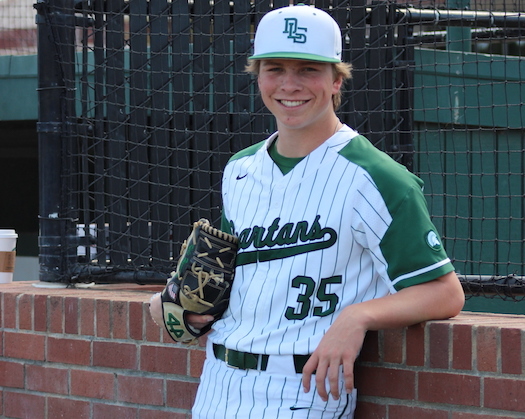 His fastball, which is topping out around 93 mph, could easily jump up to 95 by senior year. Harrison comes by the label honestly. His maternal grandfather is Skip Guinn, who pitched parts of three seasons with the Atlanta Braves and Houston Astros between 1968-71. Guinn, who had 40 strikeouts in 36 big league innings, was a teammate of Hall of Famers Hank Aaron, Joe Torre, Phil Niekro, Joe Morgan and former San Francisco Giants managers Dusty Baker and Felipe Alou. It will be a busy summer for Kyle Harrison, who’s been invited to a number of national developmental showcases. The big question, of course, is what happens when the 2019 Major League Baseball draft rolls around. Chris has already heard from a number of “advisors,” curious about Harrison’s intentions, should he decide to forego college. Spoken like a true master of California cool. 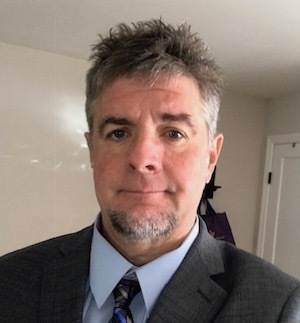 Tony Hicks has been a print journalist in the Bay Area for more than 20 years. He currently freelances for a variety of magazines.